would not last her a week. for fear of being arrested. her hair with her fingers. floating out of her mouth. she was too scared to do it. as he stared at the door countless number of times. over him. He still loves Belina. have her as an enemy. BRH were full of rejoicing. friend to them than a boss. 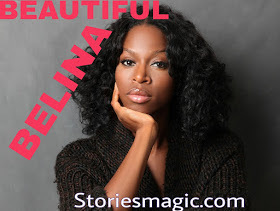 0 Response to "STORY:BEAUTIFUL BELINA (Season 2, Episode 43)"